Clients can avail from us Automatic Meter Reading. Fabricated from quality components, it is very effective in functioning. Utility service providers in the world are now feeling the increasing importance to keep their business processes more efficient, transparent and cost effective. 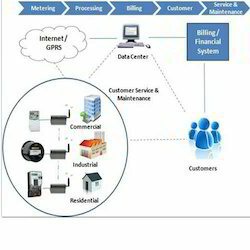 TCAM’s another major focus is on automatic meter reader (AMR) and metering solution to enhance the competitive edge for these utility service providers together with major energy / electricity meter vendors and tendering consortium partners. First Approach : (Dumb Meter, Smart GPRS Modem / Gateway) : To have the quickest time to market and seamless to existing AMR software platform, I2R GPRS Gateway will be the right choice as it is a truely protocol independent and transparent gateway. It has a built-in powerful ARM7 platform to do the low level AT command programming as such the developer or system integrator does not need to do so anymore. There is also no need to know the meter protocol as well as the API of the existing AMR software. It just works instantly after proper configuration is done. Second Approach : (Smart Meter, Dumb Modem) : To have our standard RS232-Based I2R Labs GSM/GPRS modem be the wireless utility modem for the smart electricity or energy meter. The tendering consortium partner can propose any of our available models for their own integration with the meters and desired AMR or Scada software. AT command programming will be needed for such dumb modem usage. Third Approach : (Pulse Count AMR)-For dumb meter with smart GPRS modem / DTU approach, we can tailor make to meet customer requirement. 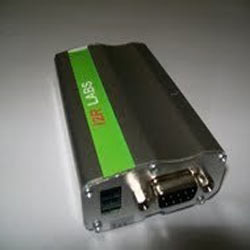 Clients can avail from us quality RS232 To GPRS Gateway. RS232 to GPRS Gateway is an innovative technology that can convert any wired serial network to wireless network. It happens with our transparent RS232 to GPRS gateway that converts the signal instantly. GPRS technology more effective and economical, thus, allows one to save on cost and increase productivity. One can easily manage this device centrally. Looking for Wireless GSM Telemetry ?